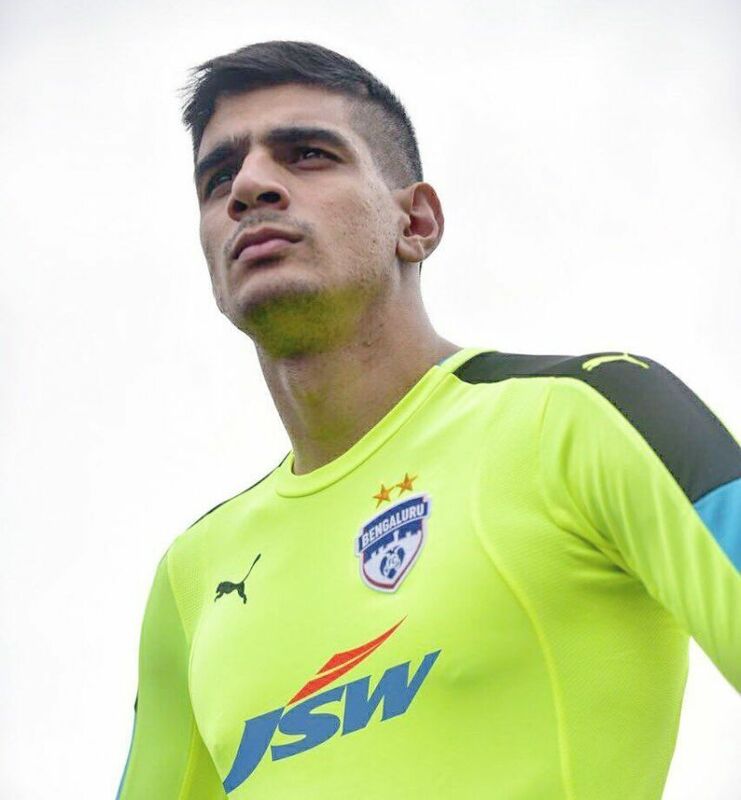 Gurpreet Singh Sandhu is an Indian footballer who plays as a goalkeeper for Bengaluru FC and the Indian national team. His safe hands have become a routine saviour for his club and country. His three year spell in the Norwegian club Stabaek was a litmus test to his tenacity and patience where he was mostly a second choice keeper. But when he became the first Indian player to feature in a Europa League game, the long wait seemed worth it. Gurpreet was born on 3 February 1992 in Chamkaur Sahib, Punjab. His stature made him an imposing presence between the posts. He started playing football at the St. Stephen's Academy before joining the youth system of I-League club, East Bengal. Gurpreet has represented India in the Under-19 and Under-23 levels. However, his senior team debut came in 2011 against Turkmenistan in a 1-1 draw. He remained in the shadows of Subrata Pal in his early years. His next national call up came 2 years after his debut. While Gurpreet was climbing the ladders of international fame playing for Stabaek, his involvement with national team was limited. He truly asserted himself as the first choice national keeper in 2015 during the World Cup qualifiers. The tournament was a mixed bag for him but ever since that, he has been the preferred choice to guard the goal. He is known for marshalling the defence and is a bankable presence. He captained India to a memorable 4-1 thrashing of Puerto Rico in 2016. Ever since that, he has put in superb displays. It is no wonder that Indian football is on the upward trajectory and Gurpreet has played his role in the ascent. Gurpreet was once accused of derogatory gestures at East Bengal fans. He had to face the wrath of AIFF and the home fans as a consequence. The youngster took to social media to publicly apologize for his actions. Gurpreet put in hard hours during his time for East Bengal. He was briefly loaned to Pailan Arrows in 2010-11 season. His performances after the returning to East Bengal showed a massive transition. A 199 cm imposing shot stopper drew the attention of foreign scouts. On a red letter day for him, Sandhu signed for Norwegian club Stabæk on 15 August 2014. He joined the select group of Indians to play club football on foreign soil. He mostly played Cup matches for them. He managed a praiseworthy 6 clean sheets in the 11 games played in 3 years. Lack of game time forced Sandhu to return to India. He joined Bengaluru FC in 2017 during the ISL season 4.